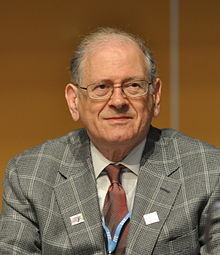 Robert Elliot "Bob" Kahn (born December 23, 1938) is an American electrical engineer. Along with Vint Cerf, invented the Transmission Control Protocol (TCP) and the Internet Protocol (IP), the fundamental communication protocols at the heart of the Internet. This page was last changed on 6 March 2018, at 09:12.